LCCT is short for Low Cost Carrier Terminal. 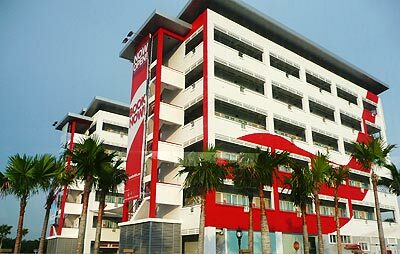 The main low cost carrier we are talking about here is the budget airline AirAsia. LCCT is the main hub of AirAsia, you can fly pretty much anywhere from here in Asia. Hence, LCCT is also a common stopover for many travellers. LCCT is located about 50km south of Kuala Lumpur so it takes about 1 hour to get into the city. 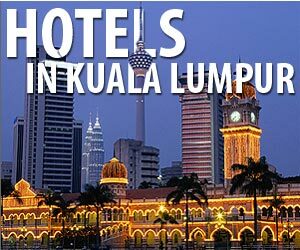 That means, if you want to combine your stopover at LCCT with a visit to Kuala Lumpur you should preferably have the whole day for it or even better spend a night or two in KL. LCCT is part of KLIA (Kuala Lumpur International Airport). It is actually just another terminal. However, it wasn't part of the original master plan of KLIA which opened 1997. Since the fast rise and success of AirAsia, there was a need for a low cost terminal. Hence, a cargo terminal was quickly transformed into LCCT in 2005 on a temporary basis. Currently, the construction of a permanent low cost terminal is underway, which will be called KLIA 2. KLIA 2 is expected to open sometime in 2013 and is located right next to KLIA. 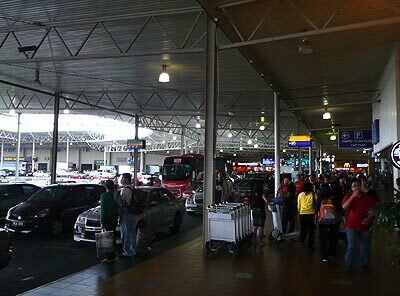 Even though LCCT is part of the KLIA airport and uses the same runways, it feels like a separate airport to travellers since there is no direct connection between LCCT and KLIA. That means it has its own taxi and bus services and parking facilities. 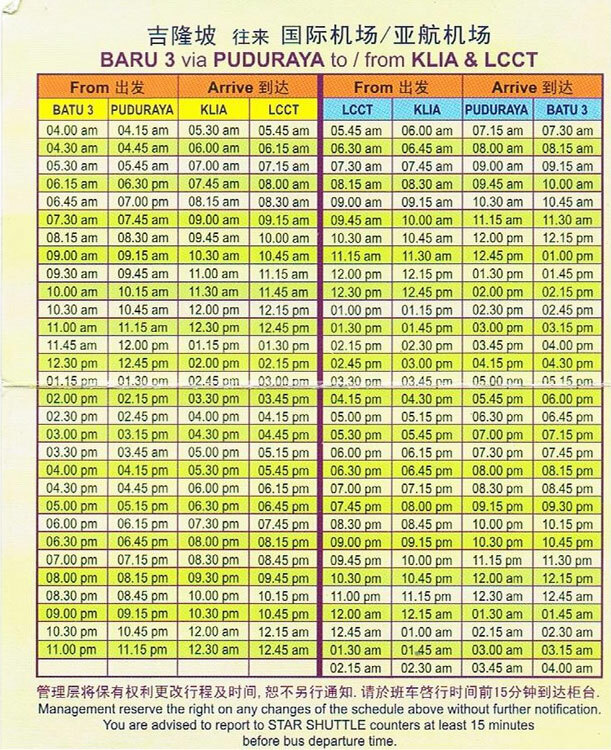 The only connection between both terminals is a shuttle bus service (operates between 5.30am and 12.30am) which takes about 20min because the bus has to drive all the way around the airport for 17km. There is a ticket counter just as you get out of the baggage claim area. There are premium and budget taxis. Make sure you ask for a budget taxi (around RM65 to the city center - Bukit Bintang, Chinatown etc. ), otherwise you will issued a coupon for a premium taxi (over RM100). A budget taxi should be sufficient for 2-3 persons. Only if you are more than 3 persons or you have a lot of luggage you need a premium taxi. Travel time to the city center is about 50min. 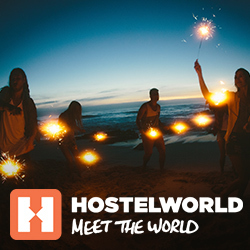 There is a 50% surcharge from midnight to 6am. 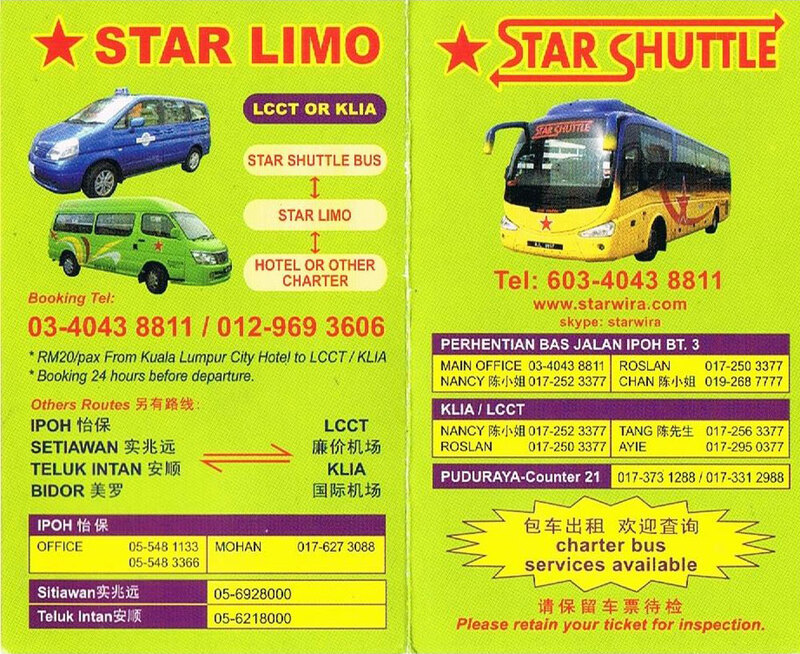 The content and images of this flyer / brochure are courtesy of: © Star Shuttle It was released sometime around 2011. Some information might not be up-to-date anymore. TheLookout point along on the hills of Ampan at the eastern edge of the city offers a magnificent views over the entire city with a few roadside food stalls after the closure of the former restaurant and lookout area.